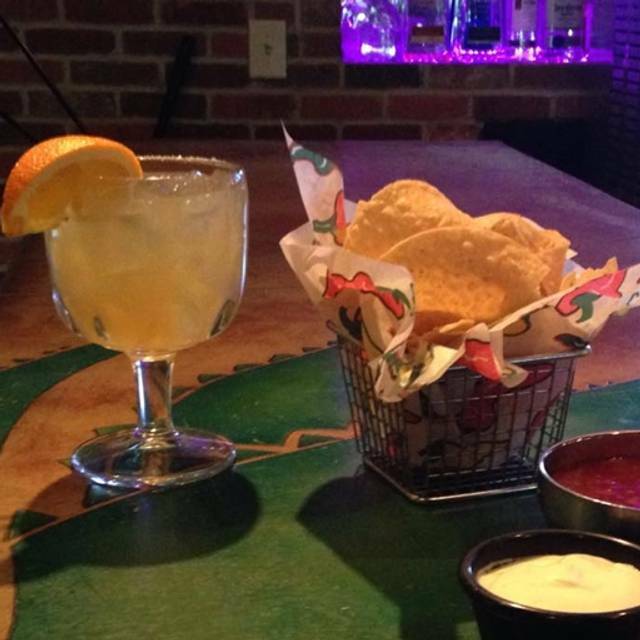 You must make reservations at least 5 minutes in advance of the time at El Patron Cantina. 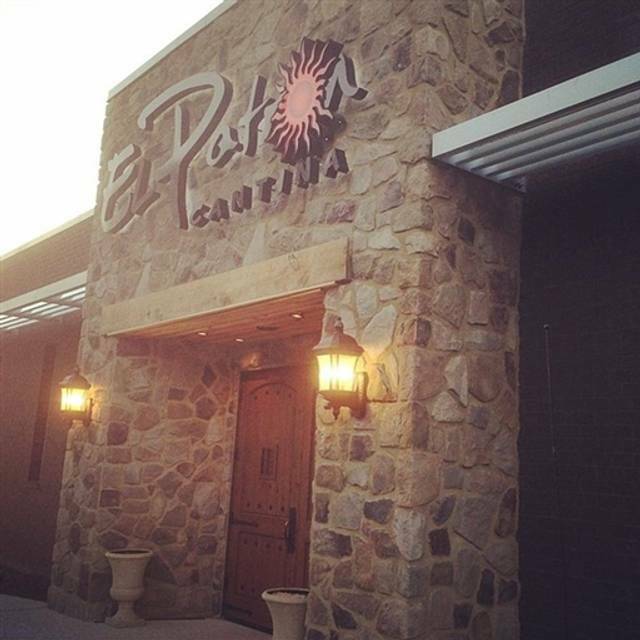 Since opening in 2012, El Patron Cantina has become the most popular Mexican restaurant in Chester, Virginia. This is NOT your typical Mexican Restaurant. All Nachos Come With Cheese. topped with beef, chicken, beans, lettuce, tomato, sour cream, guacamole. a crisp flour tortilla filled with ground beef and beans, lettuce, tomato, cheese and sour cream. filled with grilled beef or chicken beans, lettuce, tomato, cheese and sour cream. (3) Soft Tacos Are Topped With Pico De Gallo & Served With Rice & Beans. scrambled mexican choriso with egg. 2 grilled pork chops, topped with spicy ranchero salsa, served with rice, beans and tortillas. 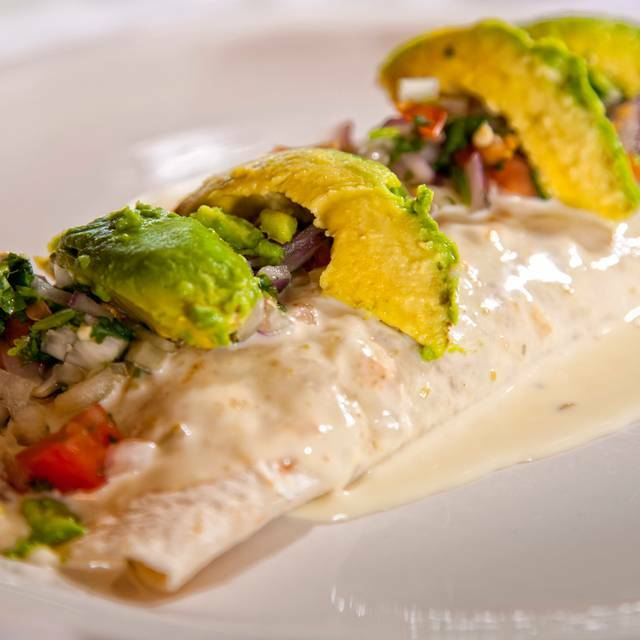 grilled flour tortilla with grilled beef or chicken, stuffed with cheese, side or rice, beans, salad and pico de gallo. fried taquitos (rolled) 2 beef, & chicken, served with rice, lettuce, guacamole, sour cream & tomato. chicken breast grilled to perfection, with ranchero salsa on top served with rice, beans and tortillas. grilled chicken breast topped with grilled onions, tomatoes, bell peppers served with rice, beans & tortillas. grilled chicken breast with tomatillo and melted cheese on top served with rice & beans. (4) 1 beef, 1 chicken, 1 cheese, 1 bean topped with lettuce, tomato, sour cream, & cheese. 1 burrito, 1 enchilada filled with chicken topped with lettuce, sour cream & cheese served with rice. 2 rolled soft or fried burritos with beef, or chicken topped with nacho cheese, lettuce, sour cream, guacamole, tomato, served with beans. tamale with cheese, rice, beef, chicken and beans served on tortilla chip, lettuce, guacamole, tomato, sour cream, rice, 2 taquitos. tortilla chips fried with special salsa chicken and extra melted cheese, guacamole salsa and rice. chicken breast with mole sauce. order of rice, tossed salad and order of tortillas. 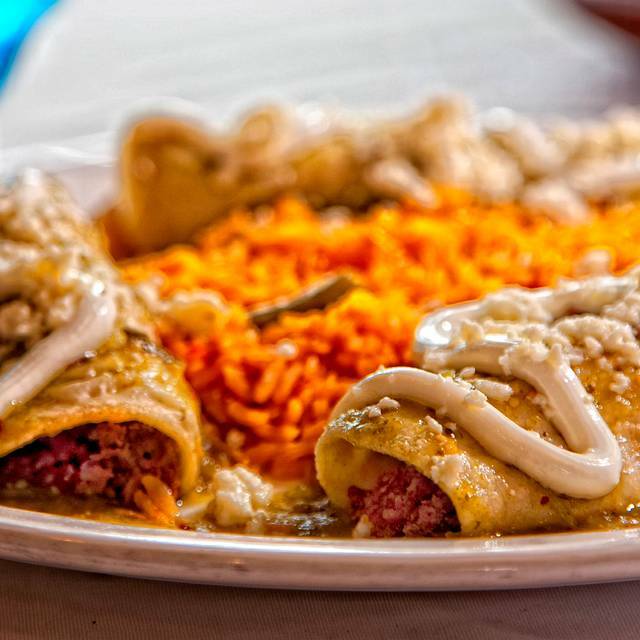 grilled flour tortilla stuffed with cheese, chopped beef and beans, served with salad, sour cream and side of rice. Dinner For 2 - $14.00. Combination Platter For 2: 1 Enchilada, 2 Tacos, 2 Quesadillas, 1 Burrito, 1 Chile Relleno, 1 Tamale, 1 Chalupa, Rice, Beans. shredded beef burrito topped with nacho cheese, lettuce, tomatoes, guacamole, sour cream, served with rice. 2 combined burritos / chicken & beans, 1 beef & beans topped with lettuce, sour cream, tomato and cheese. 2 burritos filled with shredded beef tips topped with nacho cheese on top served with rice. t-bone steak served with french fries and salad. t-bone steak served with 2 fried eggs on top rice, beans, salad, tortillas and tomatillo salsa. t-bone steak with grilled shrimp, side of rice, beans, salad and tortillas. t-bone steak with hot salsa on top, served with rice, beans and tortillas. t-bone steal topped with grilled onions, green peppers, tomatoes, rice, beans, tortillas. tender roast beef served with rice, beans and tortillas. cooked sea food mix in a tomato juice with pico de gallo and crackers in the side. cooked shrimp in a tomato juice with pico de gallo and crackers in the side. grilled shrimp with peppers, onions, tomatoes with rice, beans and tortillas. shrimp cooked with ranchero salsa, served with rice, salad and tortillas. grilled flour tortilla stuffed with grilled shrimp and cheese served with rice, beans, salad. fried whole fish with el paso seasoning served with salad, rice and tortillas. All Fajitas Are Grilled With Onions, Bell Peppers, Tomatoes, Served On A Sizzling Griddle With Side Of Rice, Beans, Lettuce, Guacamole, Sour Cream And Tortillas. res, pollo, camaron, beef, chicken, shrimp. All Burritos Are Filled With Pico De Gallo, Rice, Beans, Lettuce, Guacamole, Sour Cream. fried pork tips served with rice, salad & tortillas. homemade mexican custard with topping. mexican pastry donut deep fried rolled in cinnamon & sugar. deep fried and covered with cinnamon & sugar. flour tortilla deep fried covered with honey, cinnamon and butter. vanilla ice cream covered rolled in rice crispees and toppings. Enjoyed everything. Had an issue with the restaurant not knowing our reservations were booked on-line and was confirmed on-line. They did not have our reservation at all. Fortunately, one of our party members of 17 was there early and was able to get staff to set up the table for 17 rather quickly. Really appreciated the quick attendance to this. Manager did not know of our reservation so not sure where the issue was. Overall we had a great time. It was 2 of us and we sent 3 entrees back. Menu changed, must be new Chef. Food was horrible. The fajitas were cold. We will not be going back and this use to be our meeting place. Meeting half way. The wings were great but the rest was down hill. Location did not have a good way to view the registration. I had to provide them with number as well as meeting them know that the reservation was made through Open Table. After situation was cleared, the service by the servers was excellent. Our server was friendly, efficient, and trying to do everything to please us! Our food was good, drinks were chilled to perfection, and we were able to have time to enjoy being together and catching up! We would definitely return to El Patron!!! We have been regulars at this restaurant and have always been treated like Royalty here. Great ambiance, company, food and server....had a wonderful evening! I took my mom for her birthday and we had never been there. It was great. The food was delicious and the margaritas were as big as my head. Service was super fast. Food came out almost too fast. Will definitely go again! 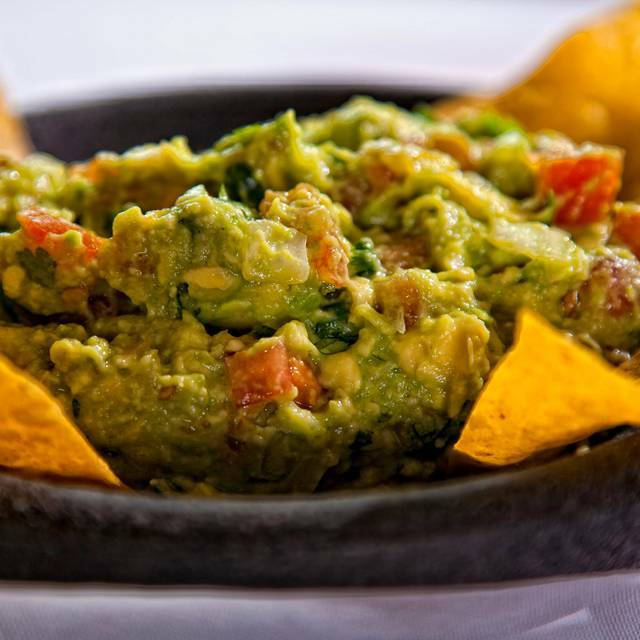 This is the best place in this area to dine for Mexican food. 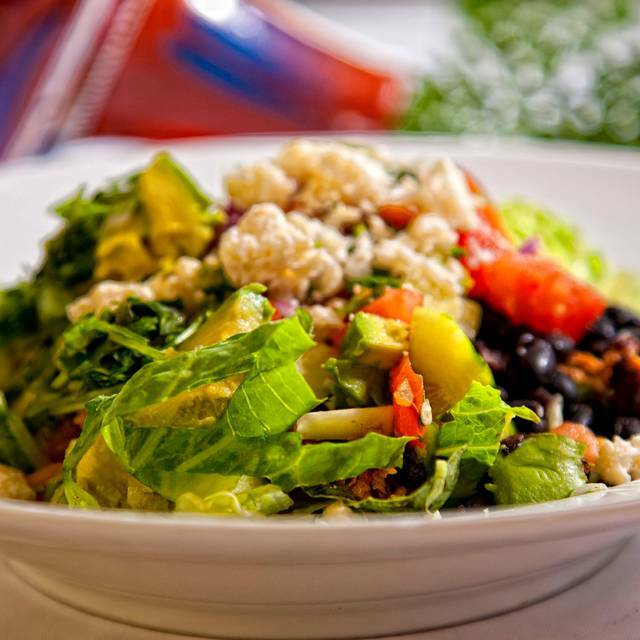 Great food, friendly waitresses, and energetic atmosphere. Great meal, great service as usual. This is our go to place for business lunch as we can get in and get out quickly. Our server was exceptional! This is the only way to eat authentic Mexican Food, no more Taco Bell! I love the food and the atmosphere. Its a great place to eat at. We frequent this place at least every other month. 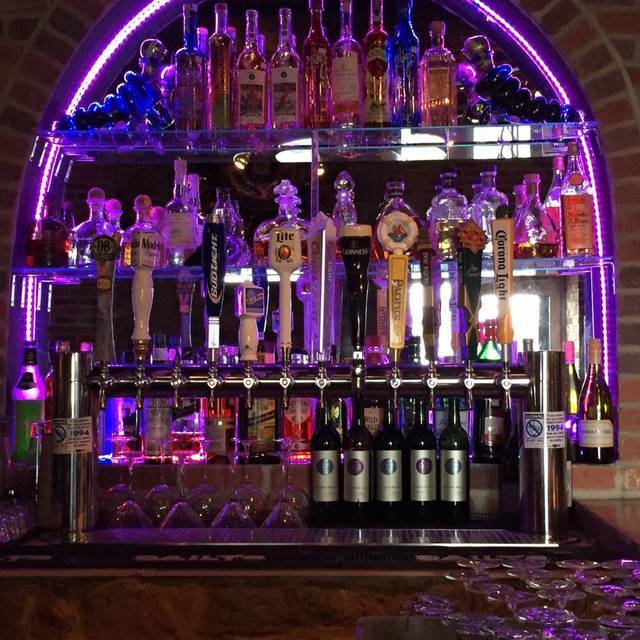 We have always enjoyed it and have a special relationship with the owner, and wait staff. Plan to continue in the future. My family loves trying new Mexican restaurants, so we decided to dine here. The food was average, the restaurant was cold, and the service was simply poor. No drink refills and no chip refills until we had to hunt down our waitress. Our waitress barely cracked a smile and it seemed like we were an inconvenience. Wouldn’t go back as there are other restaurants with better service and food. The food had excellent flavors. My enchiladas were over cooked & the chip dip w/cheese & chorizo was cold. The staff was great. I will try it again just not on Friday night. They were not prepared for Cinco de Mayo, which was a bit shocking because they were the only Mexican Restaurant in the area and it was May 5th. 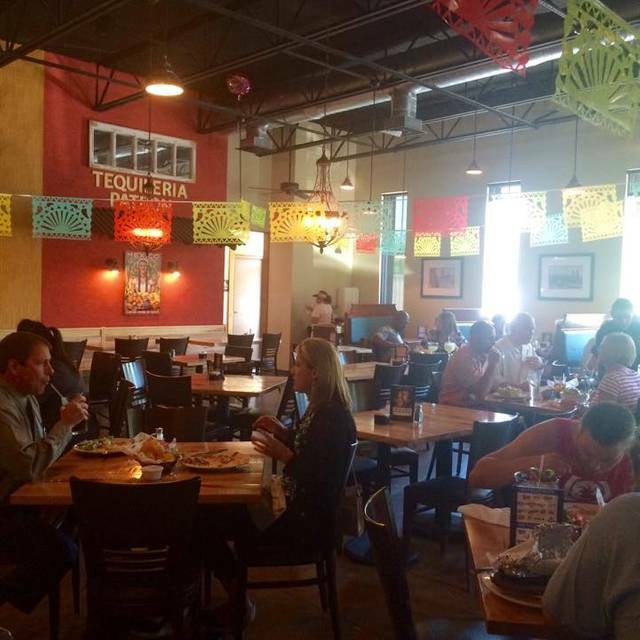 They didn't honor the reservation made on Open Table because they were slammed, they ran out of glasses, they appeared understaffed, and food was below average to average. 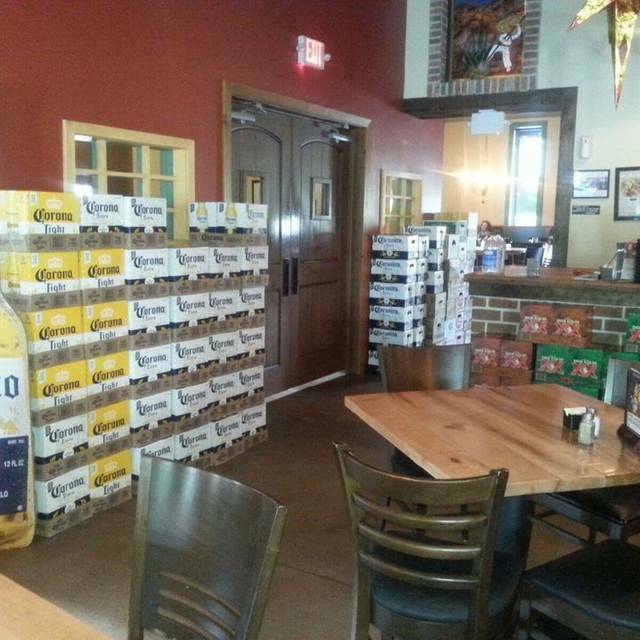 Place may not be that bad because it was suggested by a friend so it may all be a reflection of being totally prepared for Cinco de Mayo on May 5th. Limited parking for how many people were there. Quick service. Good food with large portions but a little pricey. Excellent food for food value. Worth driving across the county for. One of our favorites and what makes it great, is the staff. It is always great to be recognized by the staff, they are always friendly. Food comes hot and fast. We got to El Patron for our 8pm only to find it closed. A little disappointing. They should not be taking reservations if they are closed! Usually a good experience with them though. Always good hot food served by great servers who are attentive to your needs. Great food, Wonderful service. The food taste authentic and temperature was perfect. I enjoyed the ambiance. Visiting the area on business and will visit this location again. Not my first visit. The food is always good and the people are always nice. I will come back ! Food was mediocre as well as service. Most notable though was that I used Open Table to make reservation. When I told them this they claimed they didn't have it even though I could show them proof in my email. Then they said it would be a 20 minute wait. A customer looking over hostess shoulder saw my name on reservation list. She told me I was on the list even though I was told twice I was not. I asked them to look for a third time because a customer saw my name. Oddly, my name was found and our party was seated immediately.